Aviva Systems Biology is the original manufacturer of this BMP7 antibody. 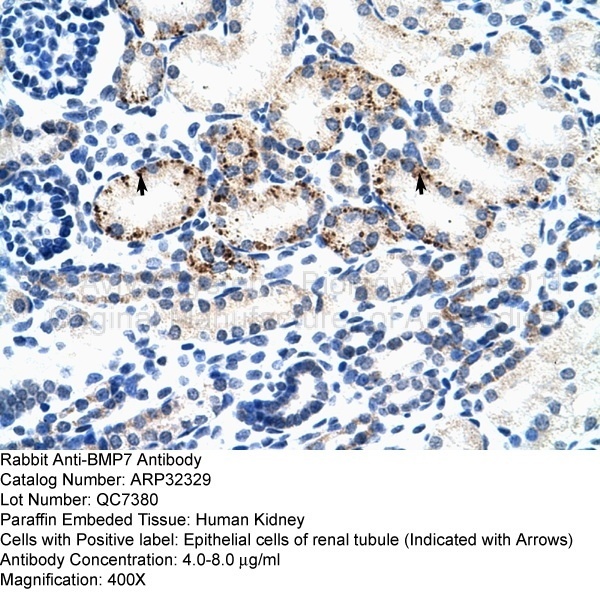 This entry was posted in Immunohistochemistry Protocols and tagged Bmp7 antibody, BMP7 antibody human kidney, BMP7 antibody IHC, BMP7 antibody immunohistochemistry, BMP7 immunohistochemistry protocol, ihc protocol, immunohistochemistry protocol. Bookmark the permalink.